Sisters Cas and Blair, both prodigal spies of the Nipahem tribe, take on a dangerous new mission to infiltrate the largest enemy of the North, however they soon realise their enemies may be more like them…and an even more dangerous enemy is closer than they think. The show is inspired by the dialogue and plot depth of Game of Thrones, and the visual aesthetic of Hannibal. It is set in an alternate universe reminiscent of medieval times, however in some regions, science has evolved faster than technology. 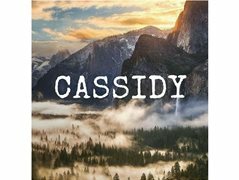 The story follows Cas and Blair Hemmingway, as they go on various missions across the continent after several reports indicate a much larger force exists in their world and seeks to overthrow them. I am looking to make a 10-15minute extract of the first episode, and I will be shooting hopefully March 2019. Cas is the main focus of the show, and Blair is a supporting role. Cas – a mischievous young woman – is joined mainly by her older sister Blair, who is the Nipahem tribe’s best spy, which causes Cas to constantly strive to be better than her. Production dates will be between the 4th & 17th March 2019. Rehearsals will be sometime before that, starting January 2019. The Northman is a tyrannic bandit. He was sent from the North to gather information on a certain individual hiding in the south. On his way he has terrorised many villagers and butchered innocent people. He spouts words of a madman, whispers from the gods he names it. He is of large stature, dressed in a thick fur coat and leather armour, brandishing a large, steel axe. His character inspirations include The Hound from Game of Thrones. This boy is from the Anna Tribe member and is featured in the first scene of the 10minute extract. He gets hunted down by the Rogue Northman and killed and is the first hint that the southern tribes get that something bigger that is coming their way.